Goa Lawah is a very important temple for the Balinese people. 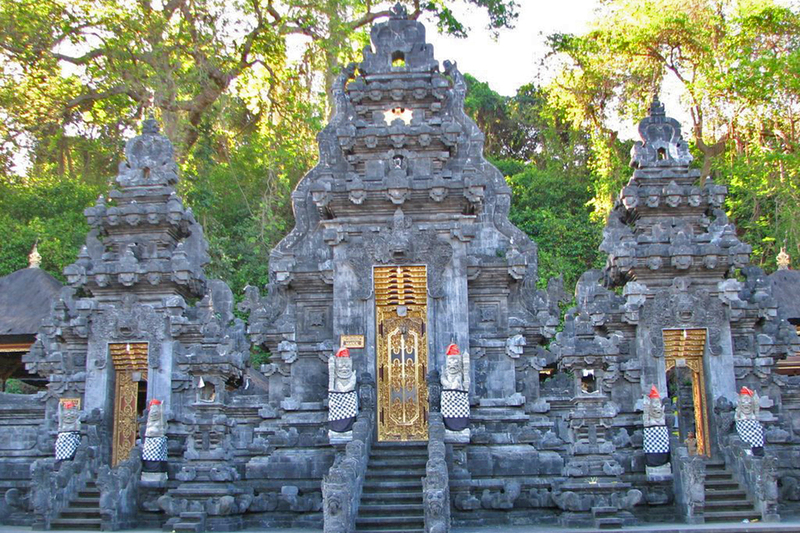 It is one of Bali’s nine directional temples and is said to guard against evil spirits from the ocean. Visiting Goa Lawah from Lotus Bungalows Candidasa is an easy half-day trip and can include a delicious lunch of fish satay close to the temple. Goa Lawah was founded by Mpu Kuturan, who was one of the priests from Java who laid the foundation for Hinduism on Bali. He founded the temple in the 11th century, and some shrines in the compound you can see are from this time. According to Balinese lontars (religious manuscripts written on palm leaves) another priest, Danghyang Nirartha, expanded the temple in the 16th century making it more like it is to this day. 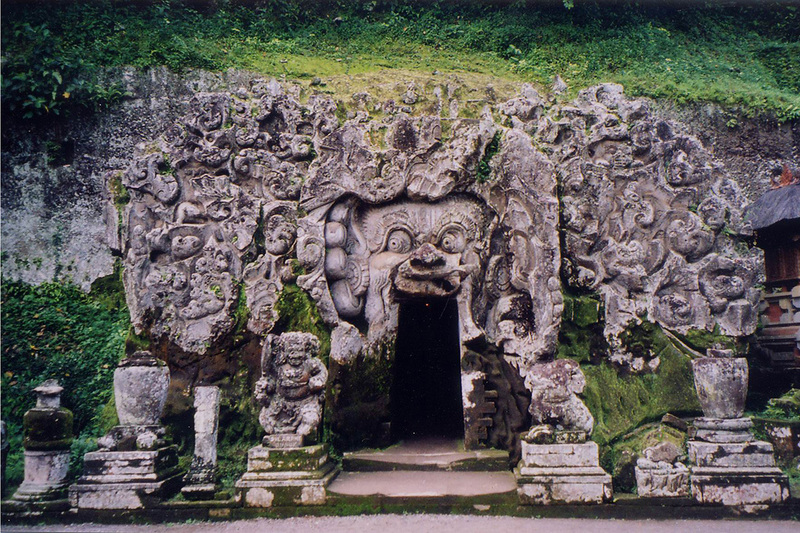 Holy scriptures in Bali say that the cave is home to Basukiis, a giant snake-like dragon that can travel the cave’s pathways all the way to Bali’s mother temple –Besakih. It is believed that a prince from the royal kingdom of Mengwi discovered the connection while hiding from enemies. There are two huge banyan trees at the main entrance with the entrance to the cave just a little further on. 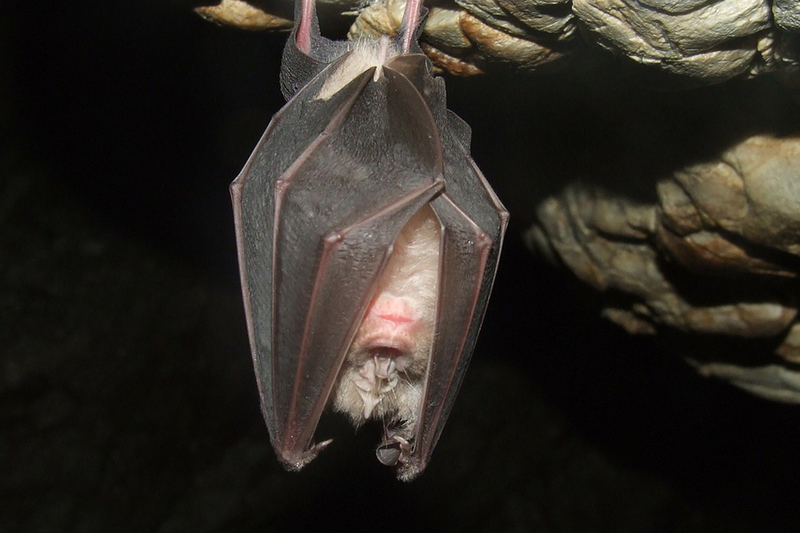 You don’t have to have a sensitive nose to know you are getting close to a lot of bats – the smell of their guano is really rather strong. Thousands of bats hang from the ceiling of the cave. They sleep during the day, but it’s quite a sight to see them all bunched together hanging upside down. Further into the compound you’ll see a number of shrines of different sizes and shapes. Each of these serves a different God. You will see people sitting on the ground praying in front of these shrines and being blessed by one of the temple priests. Morning is a good time to visit Goa Lawah, as it is generally quiet while locals go about their prayers. 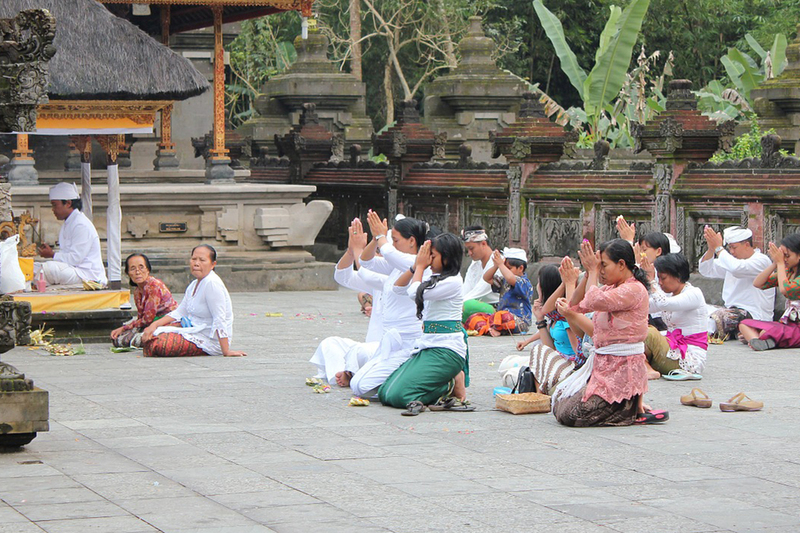 As the temple is right next to the main road, most Balinese passing on cars and motorbikes stop here to pray. It can get especially busy on holidays and weekends. It’s also great to be able to visit during one of the temple’s Odalan ceremonies, which happens every 210 days. 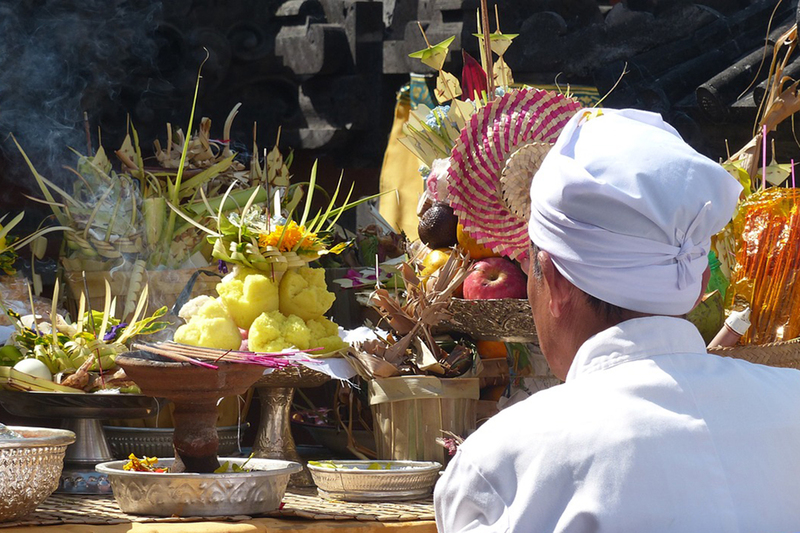 People come from all over Bali and there is a lot of activity and beautiful temple decorations to see. You can ask at Lotus Bungalows to find out when the next Odalan ceremony will happen. Families often come to Goa Lawah on their way to Besakih when a family member has died. They pray and gather water from the ocean, which is said to hold the soul of the deceased, to be purified. It’s hard to know when this will happen, but it’s something you might see when you visit. Balinese temples are generally very relaxed and welcoming for foreigners, but there are certain things you should take note of. – Women must not enter the temple while they are menstruating. – Both men and women should wear a sarong and sash. – The shoulders and chest should be covered. – Take care to respect those at prayer and don’t stand in front, talk loudly or get in their way. – Don’t enter any areas that look like they might be restricted. Ask if you are unsure. – Never stand or sit on the shrines or even walls of the temple. While you’re at Goa Lawah don’t miss the excellent seafood. Because of the number of temple-goers there are a number of local restaurants serving fish satay, fish cooked in banana leaves and other local dishes. The restaurants may look a little rough round the edges, but turnover is high and the food is cooked fresh. 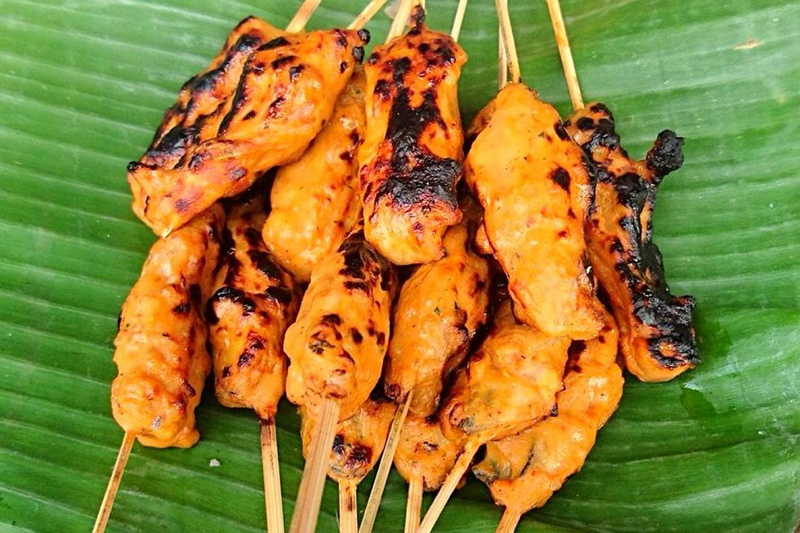 It’s some of the best satay you’ll have on the island! Would you like to explore the Bat Cave Temple? Lotus Bungalows Candidasa can arrange this trip for you with a private driver. Want to find out more about Goa Lawah or the other temples near Candidasa? Let us know in the comments below.